Regardless of how adept you are at routine repairs and maintenance work, the time will come when you need the services of a marine mechanic or carpenter. Don't wait for a breakdown! 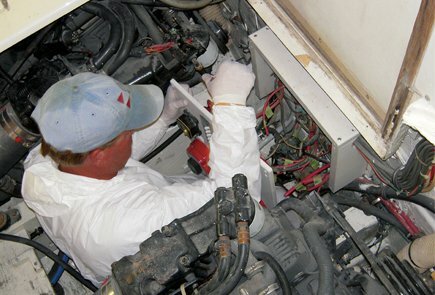 The best time to find a good technician is before an emergency occurs. If your boat and engine are still covered by the manufacturers' warranties, your local dealer will be your first stop. Even if the problem isn't covered by warranty, it's a good idea to discuss the problem with the dealer because work done by a non-dealer might void the warranty. If warranties aren't an issue, ask boat-owning friends or consult with a local marine surveyor to get recommendations for a carpenter, marine electrician, and engine mechanic. A GOOD repair shop will make life easier, even if your boat can't be moved from its berth. Talk with the technician beforehand to get an idea of labor rates, travel charges, and other considerations. This week the cold and stormy weather seems to have really set in. While we bundle up, our pets are sometimes not given the appropriate attention. Here are some tips for keeping our pets safe and healthy. Keep them inside when the temperature drops below freezing. Bang on the hood of your car before starting it to scare away stray cats that may have sought warmth from the engine. Never let your dog off the leash on snow or ice, especially during a snowstorm, when dogs can lose their scent and become lost. More dogs are lost during the winter than any other season, so keep ID tags on a well-fitting collar. 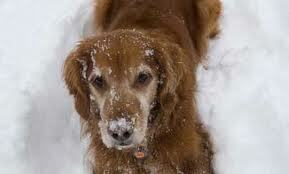 Wipe off your dog's paws, legs and belly after a walk to remove ice, salt and antifreeze. Make sure a freshly bathed dog is completely dry before taking it outside. Put a coat or sweater with a high collar on short-haired dogs. Check your dog's paws frequently for signs of cold-weather injury or damage, such as cracked paw pads or bleeding. During a walk, sudden lameness may be due to ice accumulation between the toes. Postpone housebreaking puppies during the coldest months. Don't leave a pet alone in a room with a space heater. It could get knocked over and start a fire. Dogs that can tolerate long, cold walks -- the larger breeds with thick fur -- will need to eat more high-protein food. Pets need a place to sleep off the floor and away from drafts. Dogs that spend any time in the yard must have a dry, draft-free shelter large enough to lie down in, but small enough to retain body heat. The floor should be a few inches off the ground and covered with cedar shavings or straw. The doorway should be covered with waterproof burlap or heavy plastic. Do not use metal bowls for food and water.